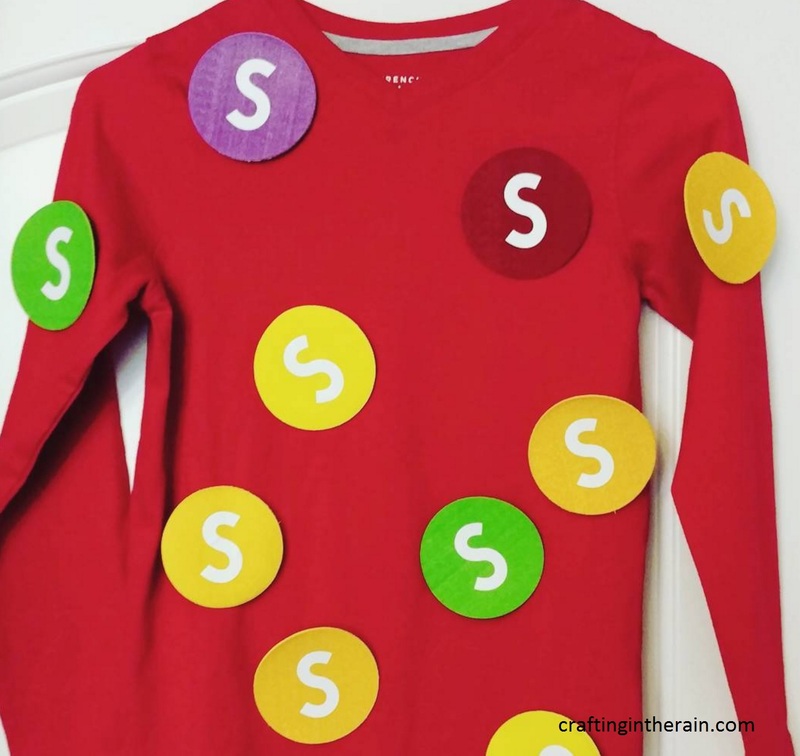 Do you or one of your kids want to be bag of Skittles for Halloween? It’s what Asher has requested this year, so here’s how I made it. 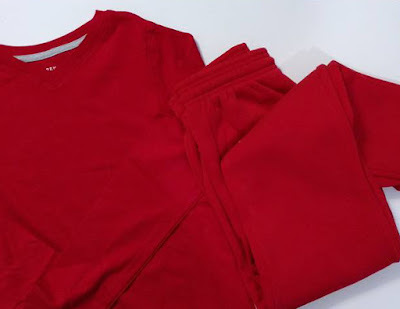 The base is simply a red shirt and a red pair of pants (sweats are great if you’re going to be out Trick or Treating and it will be cold. Next you need a bunch of colored circles. Colors needed are Red, Green, Orange, Yellow and Purple. You can use felt, but that’s a lot of hand-cutting circles that won’t turn out totally even any way. I went with Cricut distressed craft foam sheets. Load them into the machine on a strong grip mat (the purple one) and use the deep blade if you have one. Then use the custom setting of “Distressed Foam Sheet” and cut circles that are about 3 across. Cut several from each color. Then you’ll need white vinyl S cut outs for each Skittle. Permanent/ outdoor vinyl will stick a little better than regular vinyl I discovered. Cut them out about 2 inches tall and position them in the center of each colored circle. If you don’t care about the red shirt and pants, you can use hot glue to stick the circles to the clothes. 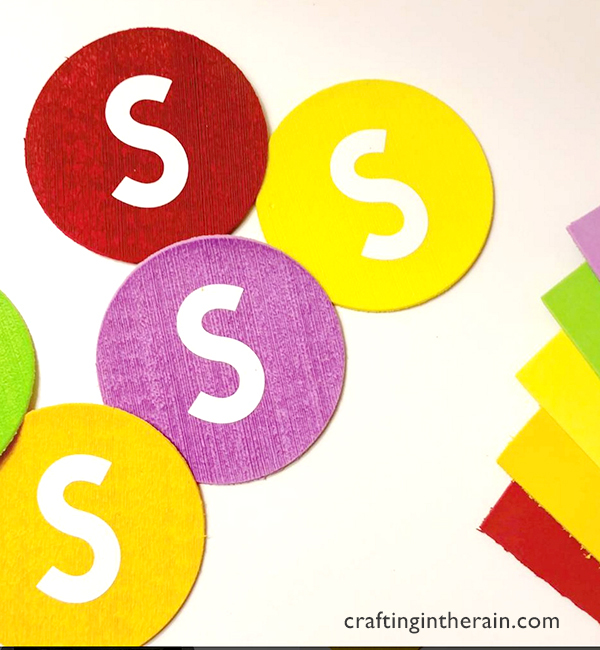 If you want to use them again, attach a square of felt to the back of each circle with hot glue. Then you can use safety pins to secure the Skittles to the clothes. That’s what we did, and he had a totally recognizable Skittles costume that cost less than $15. What do you think? Have your kids dressed up as candy before? It makes sense, since the whole night is about candy anyway! It’s quick, easy, and the best part? It’s cheap to make. It’s also a fun project your kids will be able to help with.